Great gift for the Oak Ridge Boys fan on your list! Brushed silver frame with 4x6 glass. Velvet stand so you can display on any desktop or mantle! 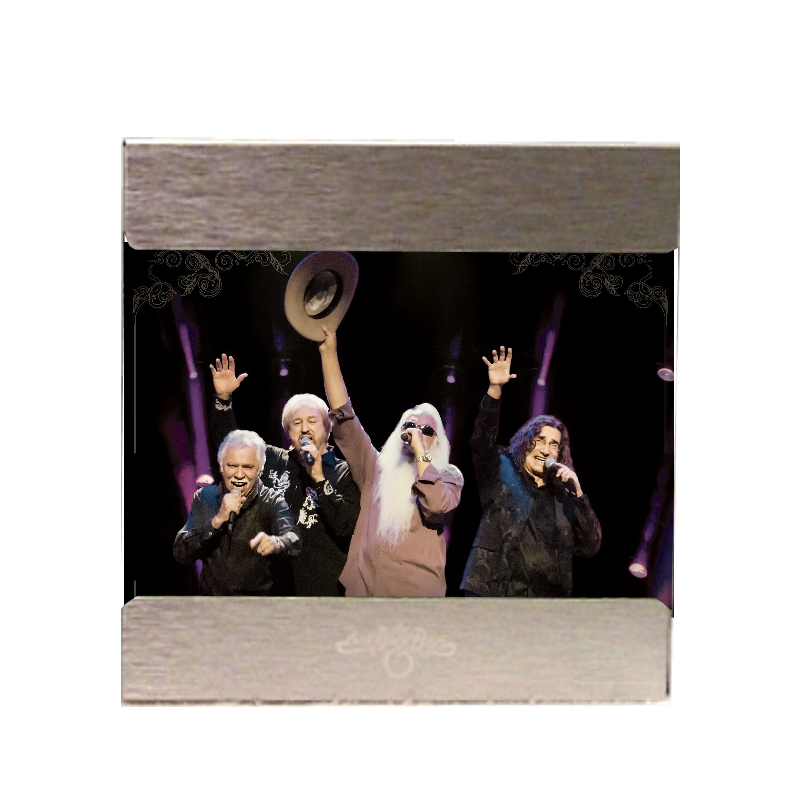 The Oak Ridge Boys logo engraved on the bottom of frame and comes with a photo (pictured) of the Oak Ridge Boys!